So I know "DIY" and "how we remembered 9/11" don't really seem to go together, but just wait. They will. 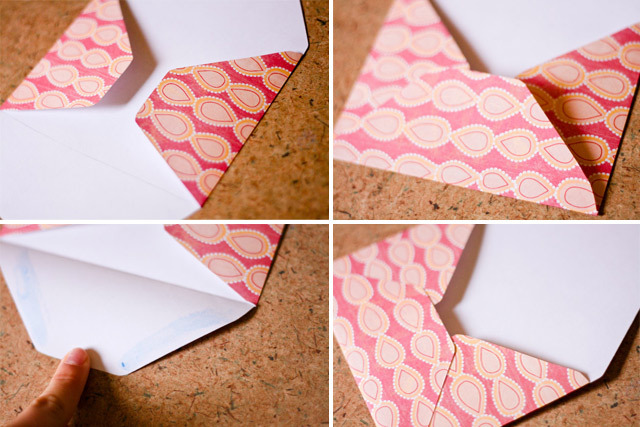 First, the DIY: how to make a cute envelope. I needed to make a birthday card for a friend the other day and wanted to put it in a cute, girly envelope, but didn't have one lying around. I wished for a second that I had an envelope template from Paper Source, but then realized I could probably just make one. And it worked! 1. 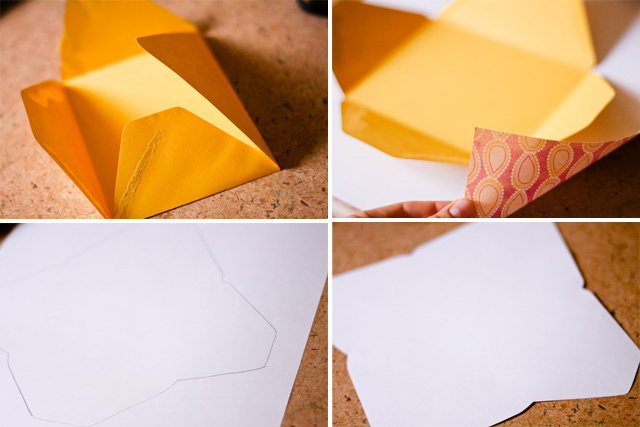 Find an envelope that you like the shape and size of. Peel the edges apart so you have one flat sheet. 2. Place it on the back side of a piece of scrapbook paper (preferably 12x12"). 3. Trace around the edges of the original envelope. 4. 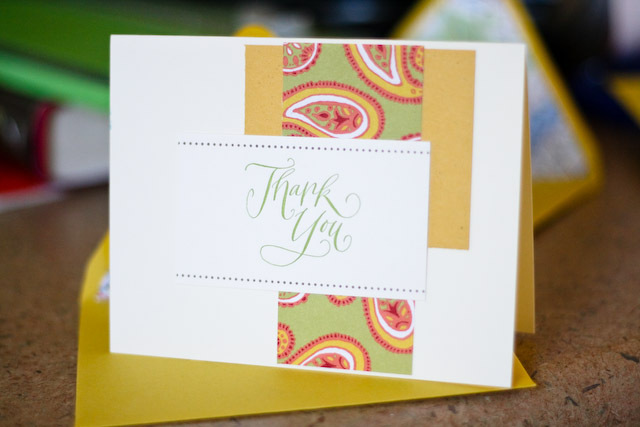 Cut out the scrapbook paper in the same shape. 5. Fold the envelope in the same places the original envelope was folded. Start with the sides. 6. Fold the bottom up. 7. Glue the bottom with a glue stick. 8. Seal the bottom of the envelope and you're done! 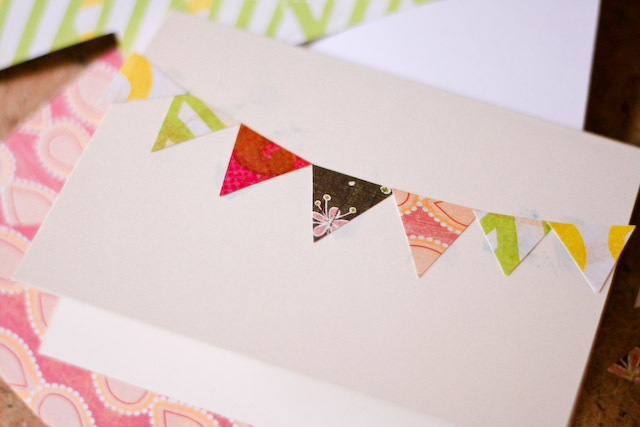 I then put together a little card with paper bunting by just cutting scraps of scrapbook paper and gluing them on. (Don't worry, the blue glue stick glue dried clear!) 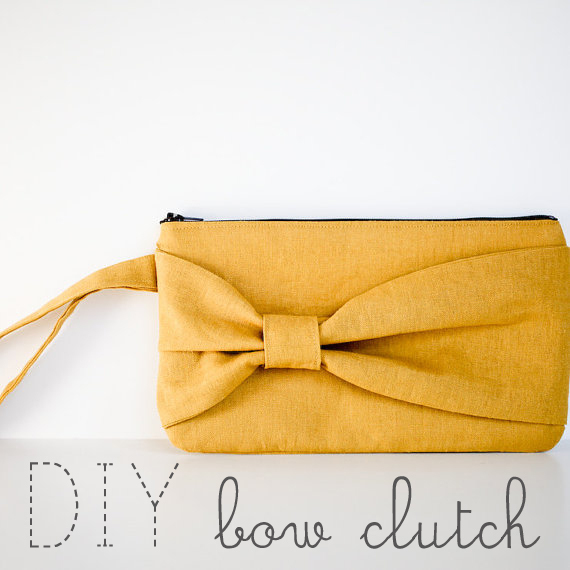 You could also sew through the tops, once glued, to make it even cuter. 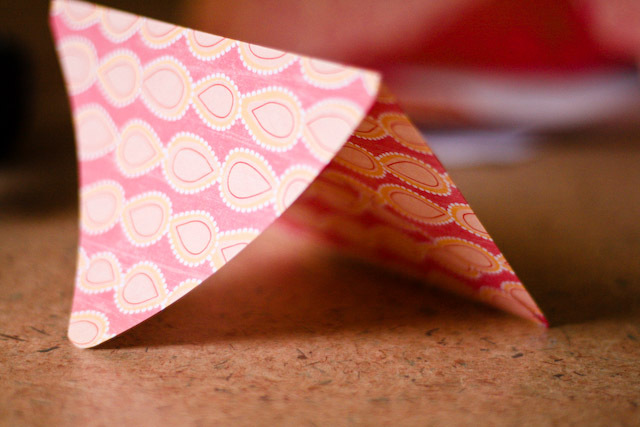 Also, don't forget to snip the edges so they lie flush with the edge of the card. So once I made this little stationery, I thought of using a map. 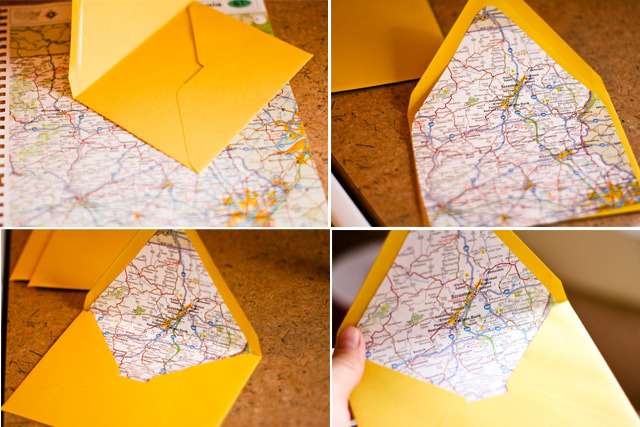 This time, though, I used the same basic instructions but wanted to put the map inside the envelope to create a cute lining. Super, super easy. All I did was trace the normal envelope (with the flap open), then cut the map, then trimmed the map just a bit shorter on the bottom, placed some glue on the back, and sealed it in. So back to 9/11. As I was making this envelope a few days before September 11th, I tried to think of who I could send a map envelope to. Who is living on the other side of the world? A soldier came to mind. Now, I've never had anyone close to me who's been off at war (at least while I've been alive), so I really can't imagine what it would be like. But I know if I did, I'd send them lots of letters in map envelopes. I'd tell them how thankful I am for their hard work protecting my freedom. 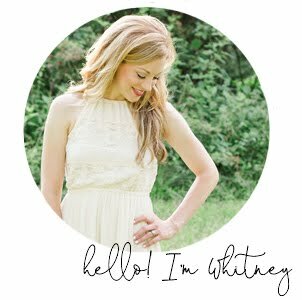 I'd send them things that they loved and missed from hope to give them hope and encouragement. So that's what I did... except first I went to anysoldier.com to find a soldier to send this little token of my appreciation. This is a pretty amazing site. You can look through emails from soldiers stationed all over the world and read updates on what they're doing and little things they miss from home. 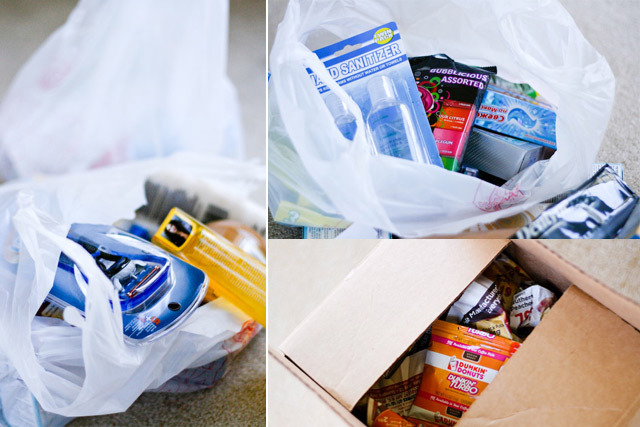 So on September 11, I went to Walgreens and then the Dollar Store and stocked up, wrote a little thank you card, and shipped it off to Afghanistan where I hope it will bring a smile to 13 men and 2 women who are working hard right now. I did this on September 11, but I know they would appreciate this any time of year! Hope this inspires you. What a great way to acknowledge and show appreciation to our troops! I've also been making some of those bunting cards but with fabric instead of paper flags... can't get enough of cute bunting crafts! As the daughter of a veteran and granddaughter of two, Thanks! I also work with many veterans and soon-to-be veterans!